Ten years ago, the US stock market was in the midst of the sub-prime induced bear market. For most of 2008, the stock market suffered heavy losses, including declines of 8.8% and 22.5% in the third and fourth quarters of 2008, respectively, followed by an 11.6% decline in Q1 2009 (when a bear market bottom finally occurred). At the time, many felt the sky was falling. 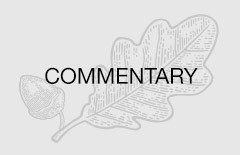 For more on Oak’s thoughts on the last ten years, read here, as well as our commentaries from 2008 & 2009. Even though stocks have risen a long way since the 2009 bottom, they attained further gains in the third quarter of 2018, rising an impressive 7.7%. Stocks achieved this despite fears over trade wars, rising interest rates, and struggling emerging markets. Thus far, the fourth quarter has started out rather rougher, with stocks relinquishing much of the gains achieved in the prior quarter. It seems that the risks that were building did not matter until they did. Is this decline the start of a recession, or a correction that has been long overdue? There is no way to answer this question with 100% certainty. But when we look at the reasons the US market kept climbing higher and why these risks had yet to thwart the nearly 10-year bull market, the weight of the evidence tilts towards that of a correction. First, the underlying economy in the US is humming along just fine. This can be seen by various economic data, such as an unemployment rate of 3.7% and GDP growth of 4.1%. While not all the data is perfect, it never is and slowing data or creeping inflation are to be expected as an economic expansion matures. Earnings and productivity remain healthy and we will monitor Q3 earnings reports for any signs of deeper issues. Second, the tax cuts from early 2018 continue to reap benefits for investors and corporations. The return of capital, and/or the potential for additional dividends or buybacks, has allowed for valuation expansion and added optimism. Meanwhile, company profit margins have remained high, and lower tax rates benefit capital expenditures and cash flows. So while the Fed may have ended quantitative easing and is raising short-term rates, corporate tax reform has accepted the torch to drive the economy. The Federal Reserve raised interest rates in the quarter by another 25 basis points, but this is more a normalized re-arming of the Fed’s tool kits rather than a desire to slow the economy. Rate increases have also been well forecasted and anticipated by the stock market, lessening their headline impact. Higher rates are a brake on economic activity and will be closely watched as the Fed proceeds to raise short-term rates. Certain segments of the economy are already showing the effects of higher rates, with homebuilding stocks weak and mortgage rates hitting 7 year highs. But the impact of higher interest rates on the broader economy can take many quarters to truly affect economic activity. The stronger dollar is equally guilty of initiating the third quarter correction as concerns over rates. The rising dollar makes exports more expensive, hurting US multinationals. It also threatens emerging market economies with high levels of US dollar-denominated debt at a time when they are already weak. Certain countries have specific problems such as Turkey and Venezuela, while others have been struggling with currency swings as China aggressively devalued the yuan to thwart the impact of US tariffs. Ultimately, the combination of rising rates, tough talk on trade with additional tariffs, the strong dollar, and fear over Italy’s economy led to a swift reassessment of the valuation multiple being assigned to leading stocks. As always, those that had risen the most experienced the sharpest corrections. Given the complacency in the market over the last 6 months, the length between corrections, and the seasonal gremlins that seem to plague the market in September/October historically, a decline of this magnitude is not too surprising. But over the long-run, when backed by a sound economic expansion, equity prices rise. We remain cautiously optimistic and will remain so until the signals change. Investing as if the sky is falling is rarely a successful long-term strategy, even if it can occasionally produce a successful trade. Until then, Chicken Little has probably missed the strong bull market. The investments mentioned or listed in this article may or may not represent an investment currently recommended or owned by Oak Associates for itself, its associated persons or on behalf of clients in the firm’s strategies as of the date shown above. The investments mentioned do not necessarily represent all the investments purchased, sold or recommended to advisory clients during the previous twelve month period. Portfolios in other Oak Associates strategies may hold the same or different investments than those listed or mentioned. This is generally due to varying investment strategies, client imposed restrictions, mandates, substitutions, liquidity requirements and/or legacy holdings, among other things. The particular investments mentioned were not selected for inclusion in this report on the basis of performance. A reader should not assume that investment(s) identified have been or will be profitable in the future.